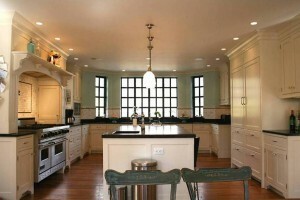 The clients for this project had a very specific vision of how they wanted their kitchen to look. They came to Edward Schultheis of Kitchens by Edward in Connecticut with a series of kitchen images torn from magazines. 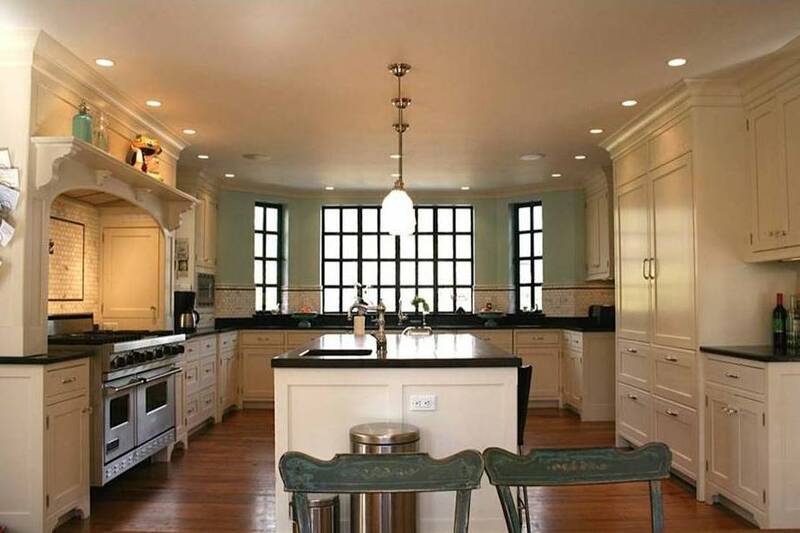 Since Edward was the designer of two of those kitchens (one featured in Architectural Digest), it was a destined match! The clients have a large, active family and love to entertain. The cramped kitchen/dining/library space did not allow for the activity level nor did it create the “welcome” feeling the family desired. Edward changed the atmosphere of the rooms by taking out walls and by re-orienting the space, which he visually unified with gorgeous cabinetry and built-ins. He used the traditional Woodline products in Maple with a hand-rubbed buckwheat finish. The door style itself is a “modified” Woodmont Lenox with 2 ½” stiles and rails.